Wooden planter boxes, especially when handmade, are beautiful design objects you can use to decorate your garden, porch, or living room. They have numerous uses, can double as raised beds when large enough, and can successfully replace traditional pots. Making wooden planter boxes is not complicated if you have some basic carpentry skills. You can use any wood you like, such as lumber, timber, old bookshelves, or, as in this case, old pallets. I enjoy DIY pallets projects. Pallets give you the possibility to be creative and shape them in dozens of ways. You can make a pallet garden table, for example, and match it with some wonderful wooden planter boxes made from pallets. Let’s see how to make and where to use them. The best thing about working with old pallets is that you really need only minimal carpenter’s skills. Pallets are versatile and multifunctional. You can use them to make garden furniture, fences, living room decorations, and more. The wooden planter boxes made from old pallets are among the easiest projects you can choose. Below, I describe the method I used to make two lovely wooden planters to place on the porch. The first thing to do is to find some old pallets and identify those suitable for this project. You can either use old pallets you have or find them elsewhere. Shops usually have spare pallets or you can find them in online listings. Most people give them away for free or sell them at very cheap prices. If you have to buy the pallets, check them and make sure most wood is usable. Do the same with any pallets you own, just to make sure to have enough wood. Draw a plan of the planter box and decide its dimensions. Write down the length, width, and height of the box and save the plan for future use. In this way, if you’ll ever want to make a similar planter box, you’ll already have all dimensions at hand. At this stage, you can also decide whether you want to make a square box, a rectangular one, or of another shape. Deconstruct the pallets. To do that, bring the slats apart using either a circular saw or a jig to cut the ends. Without these tools, it will take a decent amount of work to deconstruct the old pallets. If deconstructed well, you should get between 8 and 14 wooden boards per pallet. Remove the nails from the slats. You should use a hammer to do this. Once the pallets are deconstructed, you’ll have to select the wood. Some slats might be unsuitable for the job, rot or with visible defects. Choose the wooden boards you like best and that can be cut to the desired size. Cut the slats to pieces of the desired dimension and calculate how many pieces are needed to build the sides and bottom of the wooden planter box. Once you have all the pieces, sand them with sandpaper to remove any staining issues or rough spots. Sand the wood boards until they are smooth and you are fully satisfied with how the look. Assemble the wooden planter by nailing and gluing all the pieces together. This is a straightforward process that needs no further explanations. Just make sure to let the glue dry well before moving on to the next step. At this stage, your wooden planter box is almost ready. Sandpaper it again to remove any rough spots where you nailed the pieces and on the edges. When the box looks as you want, apply a layer of wood outdoor coating, such as urethane, to protect your planter box from harsh weather and moisture. If desired, paint the wooden planter box in your favorite color. For a rustic garden, I suggest using a dark brown varnish. In a shabby chic décor, white or pale pink might be more appropriate, while a multicolored planter box can do justice to a non-conformist environment. Most gardeners use wooden planter boxes either for functional purposes. However, they can make great decorations too. Here are a few ideas to use. The wooden planter boxes made from pallets match wonderfully with the natural décor specific to the Japanese gardens. For this reason, they can be easily used as decorations in your lush outdoor space. Square wooden planter boxes painted in dark brown shades are ideal for this purpose. Place the planter boxes near a garden pond or fountain and use them to grow a variety of tall grasses and herbs. Mix and match the plants in the planter to achieve original effects. It is easy to transform wooden planter boxes into raised beds. Build a lower planter box of the desired dimension and use it to grow any vegetables you want. If you want to place the planter box directly on the ground, you can avoid making a bottom and only use the frame. On the other hand, you can use a planter box as raised bed by placing the planter on a garden table. 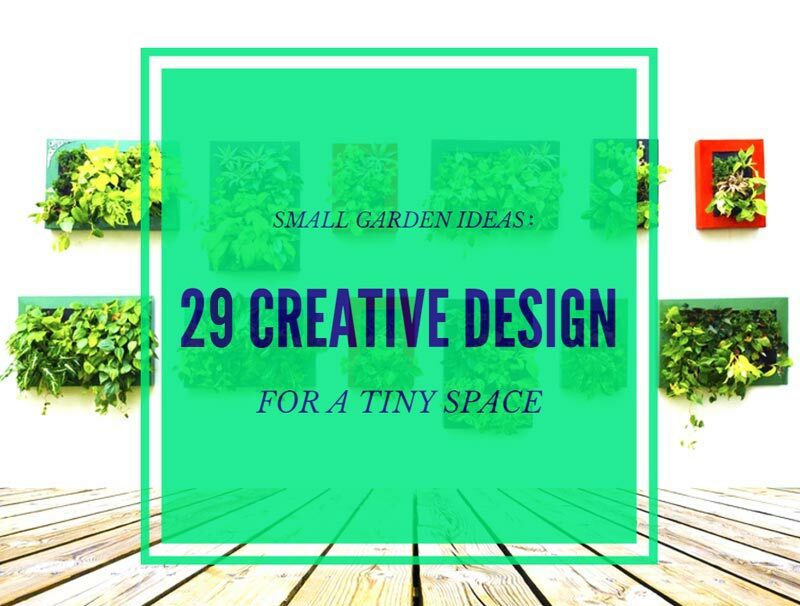 This is a great solution for a square foot garden, for example. Wooden planter boxes are ideal to decorate your kitchen’s walls and create an indoor vegetable garden. Build smaller wooden planter boxes suitable to hang on a wall and arrange them to make a vertical garden. Use the planters to grow your favorite herbs. If you also want to cultivate dwarf tomatoes of potatoes in your indoor garden, make sure the planters are deep enough to allow these veggies to develop and grow. With a few DIY wooden planter boxes and a bunch of colorful annuals and perennials is easy to create attractive patio decorations. You can use planters of any size and shape you like. In my opinion, square or rectangular planter boxes are ideal for traditional gardens. If you want your property to stand out, choose a hexagonal or octagonal planter box. Choose colorful flowers that match or contrast the colors of your property, to make your outdoor space stand out. You can use wooden planter boxes even you don’t have a garden or a terrace at all. The best part of DIY planters is that you can make them fit any space and any necessity. If all you have is windowsills, beautify them with handmade planter boxes. Make the planters of a size and shape that fits the windowsill. Usually, long, rectangular planters are ideal. You can use these planters to grow any flowers you like, or even for aromatic herbs and veggies that can grow in a pot. Making your own wooden planter boxes from old pallets is both rewarding and functional. You’ll have environmentally-friendly planters, made to fit your space and desires. You can personalize these planters as you please, and place them even in the most awkwardly shapes spots. Along with pallet garden tables, benches, and fences, the wooden planter boxes made from pallets will help you display your artistic skills and creativity, for a garden that can stand out from the crowds.